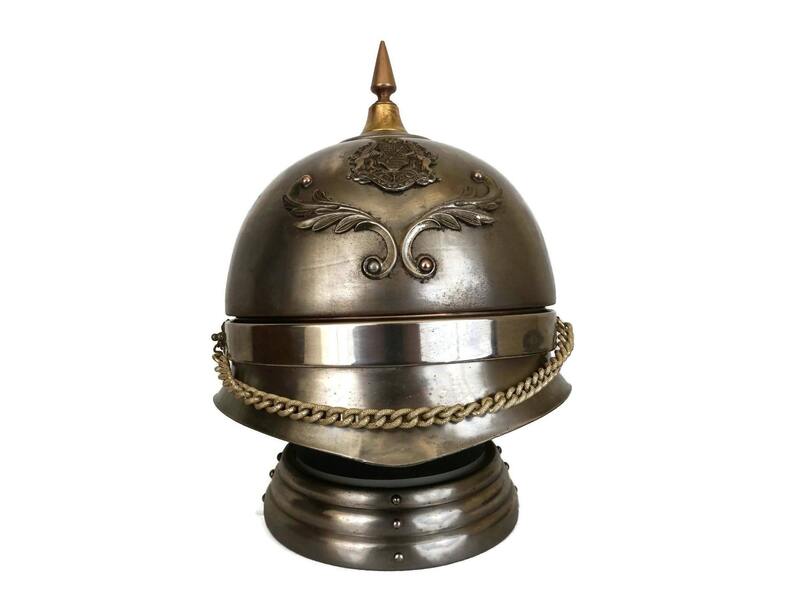 A beautiful, vintage Prussian helmet carafe decanter and shot glass holder by Lucky Gold and dating from the 1970s. 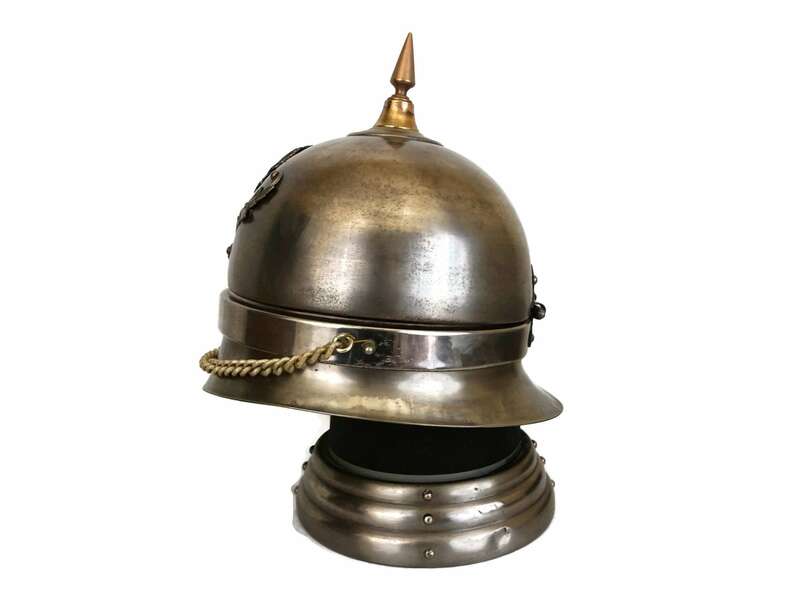 It has been created in the form of a Pickelhaube, a spiked helmet worn in the 19th and 20th centuries by German military, firefighters, and police. 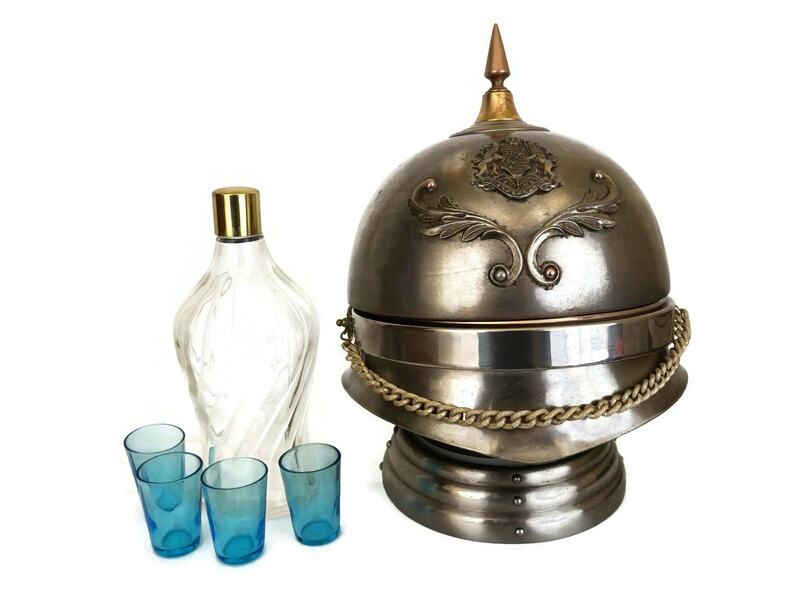 The metal helmet opens to reveal a complete set comprising four blue shade shot glasses and a small clear glass decanter with a gold tone lid. 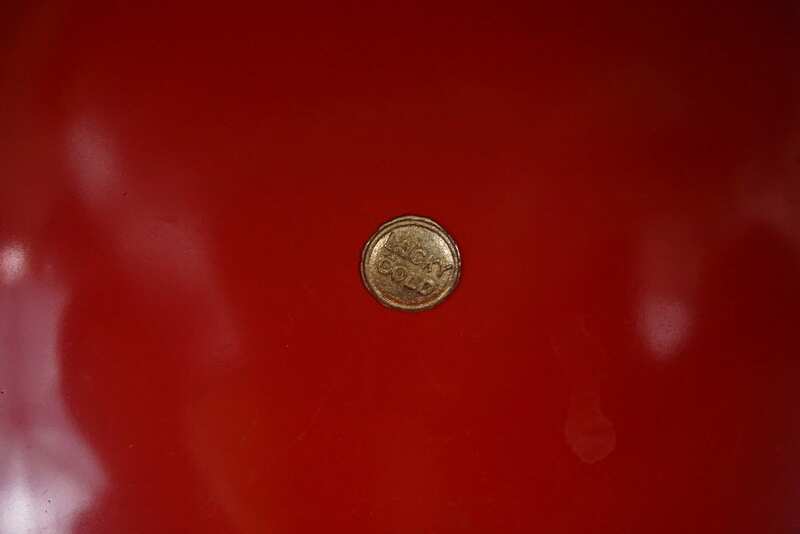 The interior top of the helmet has been painted in fire engine red and has the original Lucky Gold emblem in place. 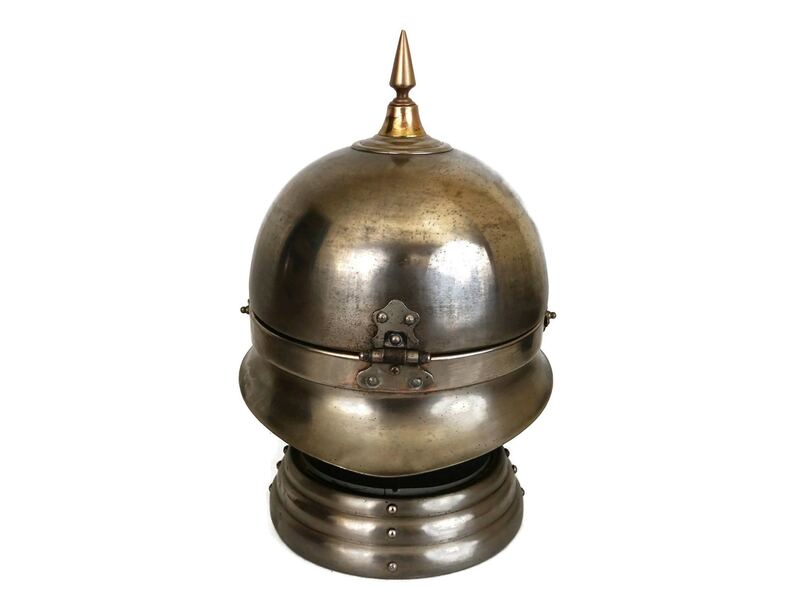 11" Tall (including the spike) and 7" in diameter (30 cm x 18 cm). 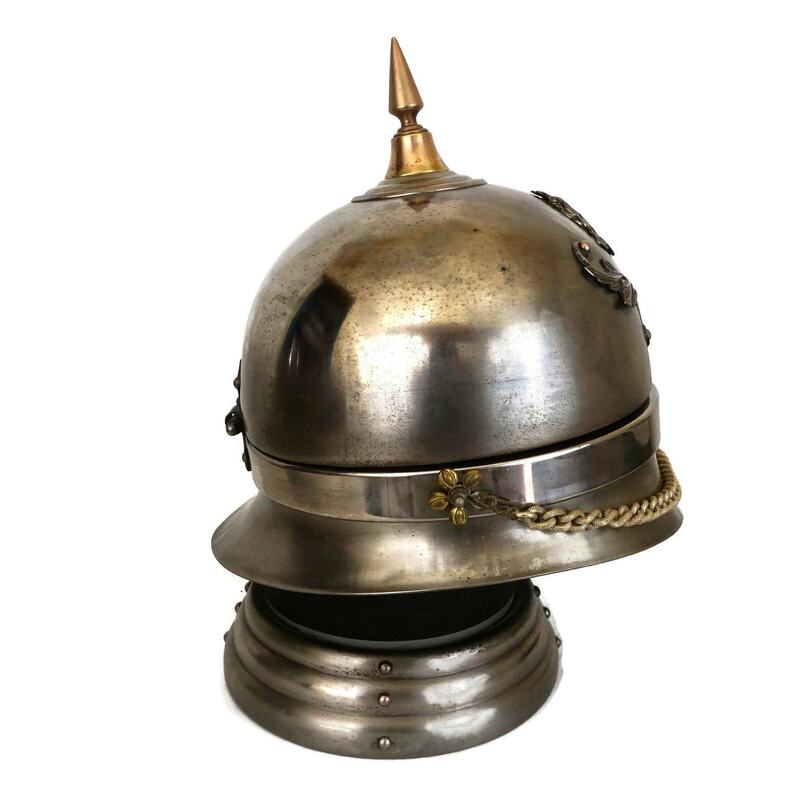 The Military helmet decanter set is in good vintage condition with signs of age and wear. 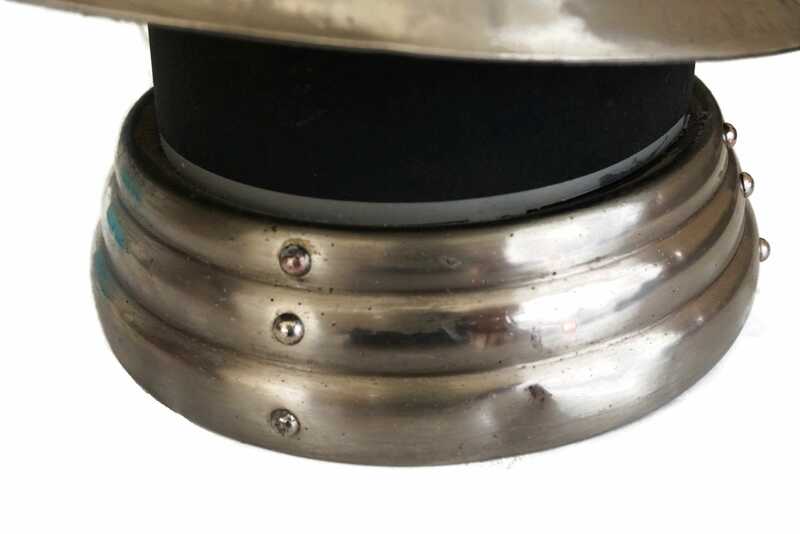 There are surface marks, tarnishing and light dents to the metal in places. 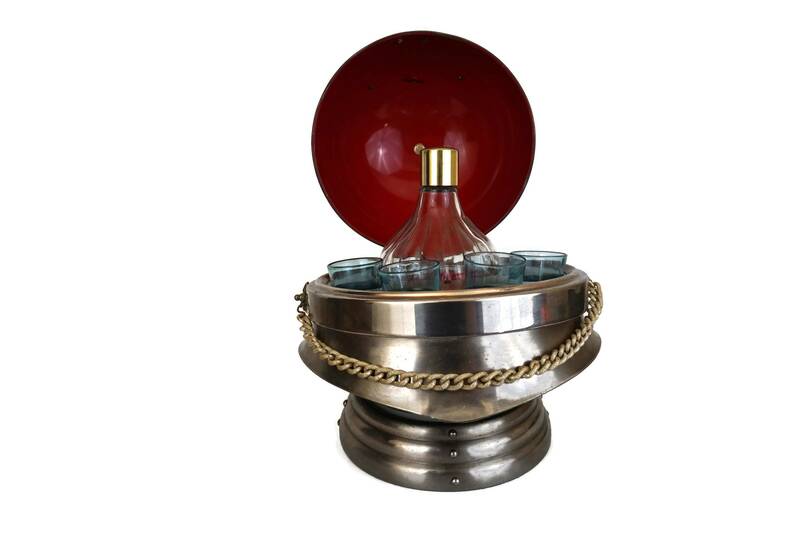 A decorative flower ornament is missing from one of the chain holders. 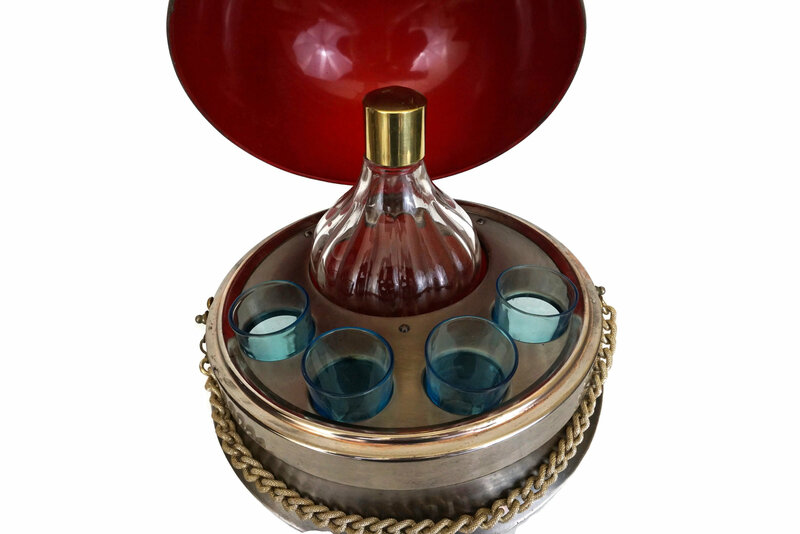 The is a small dent to the screw top lid of the decanter bottle. 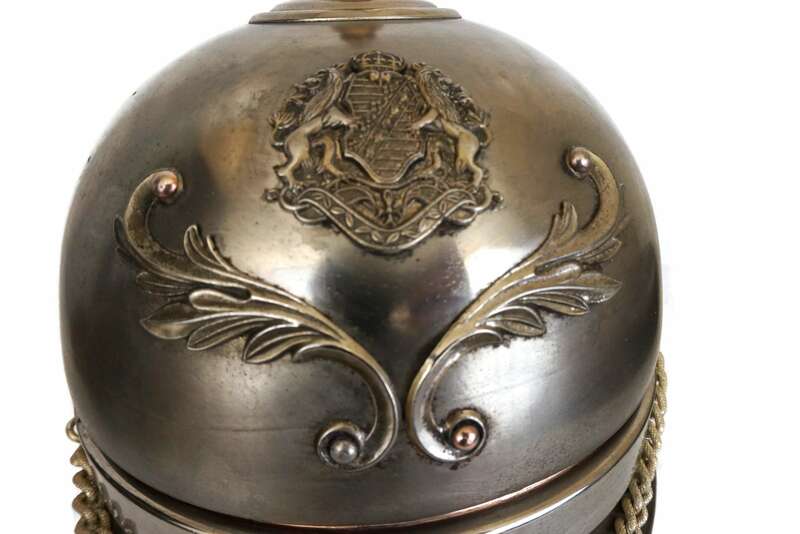 The lid of the helmet doesn't seal tightly.